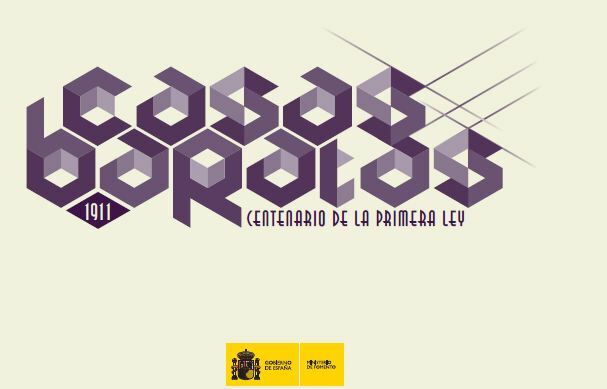 Spain enacted in 1911 its first low price housing (Casas baratas) law, trying for the first time to channel a public intervention to mitigate the clear problems that most of the people had in their dwellings. The law did not attain a real success, but it served as a basis for the ulterior development of housing laws in the country. A recent Official Publication traces this process. In the middle of the XIXth century Cerda complained about the bad housing conditions in the old areas of Barcelona, and a series of hygienist physicians from 1869 to the 1930s analyzed the living contidions in the big cities of the country, where the housing deficit was worsened by alcoholism and tuberculosis epidemies. On their side, architects and engineers proposed alternatives similar to the ones already known in the rest of Europe, with a bias towards detached family houses, with a limited success in most cases. During that period slums housed most of the urban population in the large cities. The Royal Order for Poor People Housing in 1853, under Isabel II, ordered the governors of Madrid and Barcelona to build housing for poor people with a limited rent; 1878 witnessed a worker’s neighborhoods bill that did not succeed, but which was finally enacted in 1881, authorizing the state and municipalities to give land for free to the builders of new neighborhoods that could not exceed 100 dwellings with at most two floors, with a fixed price; these neighborhoods could not be built far from central cities, and they should mix with neighborhoods of different social classes, a precedent for current visions on social mix in urban tissues. The Ciudad Lineal by Arturo Soria began as an utopian proposal to solve that problem, but was later adulterated in its material construction. The Ley de Casas Baratas (low price housing act) of 12 June 1911 can be compared by its impact on the country to the 1855 and 1885 British laws, or the 1889 and 1894 French laws. It attributed the management to the Juntas de Fomento y Mejora, set fiscal exemptions, and attributed a role to the Savings Societies. A 1912 Regulation develops the income levels and some architectural requirements. The real built outcome of this law was quite scarce, as municipalities had their own problems, financial agents did not respond as expected, and the state was also slow. A new law is enacted in 1921, meeting similar implementation problems. The 1926 law was clearly impacted by the outcome of the 1929 international financial crisis. The 1936-1939 civil war marked the end of this pioneer period, which produced limited material buildings but established the basis for the future developments of that matter. A century later, the Spanish scene has changed substantially: the country’s population is mainly urban, the dwellings have improved substantially even when there are still shadowy areas, and the global scene is also different. The current problem is not so much a need to build substantial numbers of new housing units, but rather the differences between the purchasing power of those needing a home and the market prices of these homes, in the context of a severe economic crisis that is related to the real estate development (the news this week reverberate about two persons that commited suicide as the home they bought was about to be repossessed due to failure to pay their mortgages, and evictions due to repossesssions are on the rise) . On the other side, there is a relevant obsolete housing stock that could be converted to acceptable use conditions through rehabilitation: most of the units built between 1950 and 1980, and a part of the historical city cores. On the other side, the substantial expansion in the ownership rate for the last 50 years is being subject to criticism, as rent housing is presented as a good alternative. The Sustainable Economy Act of 2011 is not a specific housing law, but the Chapter IV (Rehabilitation and housing) in its Title III (sustainable environment) includes 5 articles on that matter. The quality of the housing units and their urban entourage seem more important than the quantitative expansion of the housing stock. Article 111 defines the criteria for rehabilitation and improvement of building qualities in existing units. An eminent domain rule is defined, allowing the expropriation of parts of buildings to install elevators (a common deficit in a country in which in the last fifty years most of the homes were built in multistorey buildings), and it is even possible under certain conditions to occupy public domain land. In some areas it is becoming common to see elevator occupying the sidewalks when no alternative is possible, always following the introduction of enabling municipal bylaws. 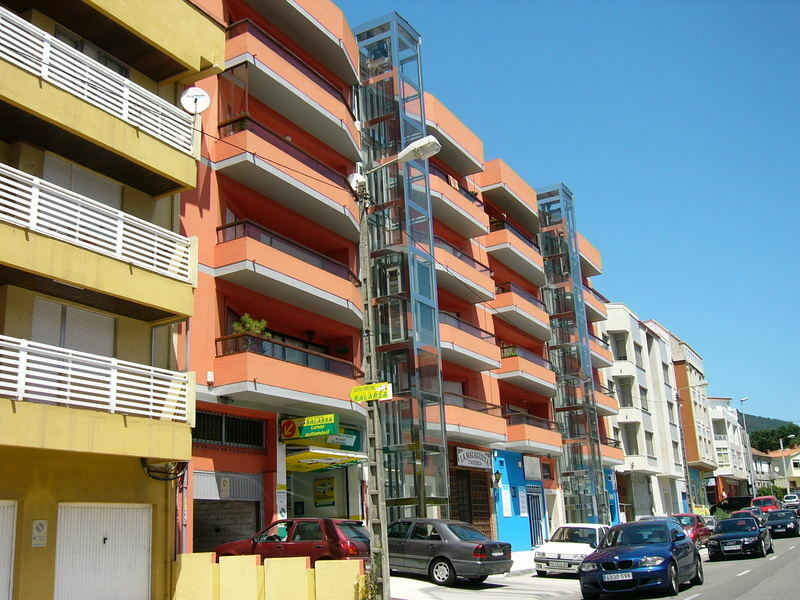 The Castilla y León Regional Act on Right to Housing from 2010 is an example of the legislative development in the regions. It defines administrative rules, protection for renters and buyers, or measures aimed at fostering rent housing. The urban rehabilitation areas are proposed as intervention tools at neighborhood level; going beyond what was the common vision in the Europe of the 1980s of rehabilitation as something related just to historical areas.